While I did have the basics of tequila and triple sec, I was finding myself between a rock and a hard place. What to do? While staring at my fridge (luckily with the door open), I realized I had several grapefruit and some lime seltzer…time to concoct. So, I basically just squeezed the grapefruit for some fresh citrus juice, poured some tequila and some triple sec in the glass then topped it off some La Croix Sparkling Lime water. That water would give me some thought of margarita lime, right? Shook it then poured it over ice. Dang, this makeshift margarita was pretty dang good. Will definitely have to make it again. one must cap off the night. Recently checked out Elevation 5003 Distillery in Fort Collins, CO. They make a few spirits, including gin, vodka and whiskey. 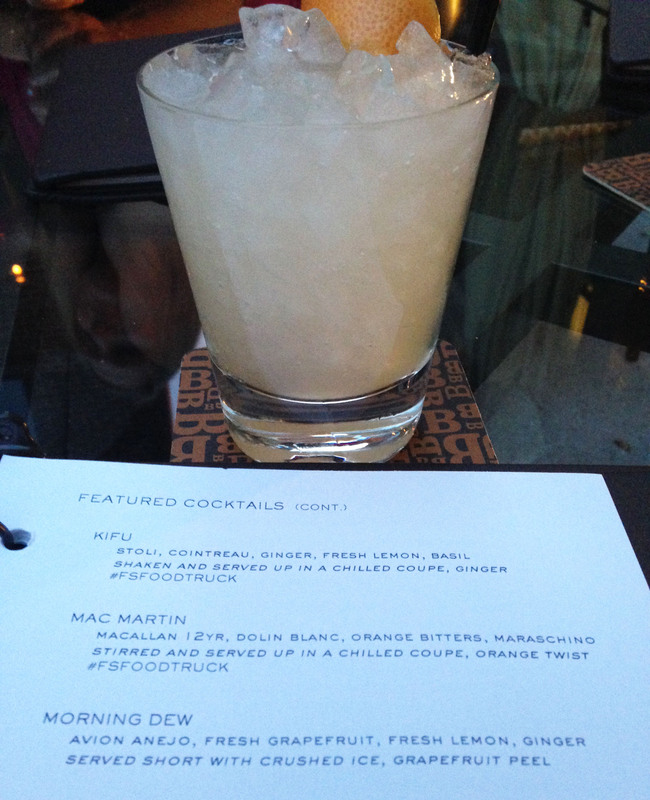 If you visit the tasting room, there is nice selection of drinks they concoct on site. One that I enjoyed, that is not on the menu anymore, but my friends had the bartender make, was the Timber Ridge Ramble. I just know it had gin, blackberries and great taste. If you live in, or are visiting Fort Collins, check this place out. Or, pick up a bottle of their stuff up or order a drink with it from the restaurant or bar you’re visiting. 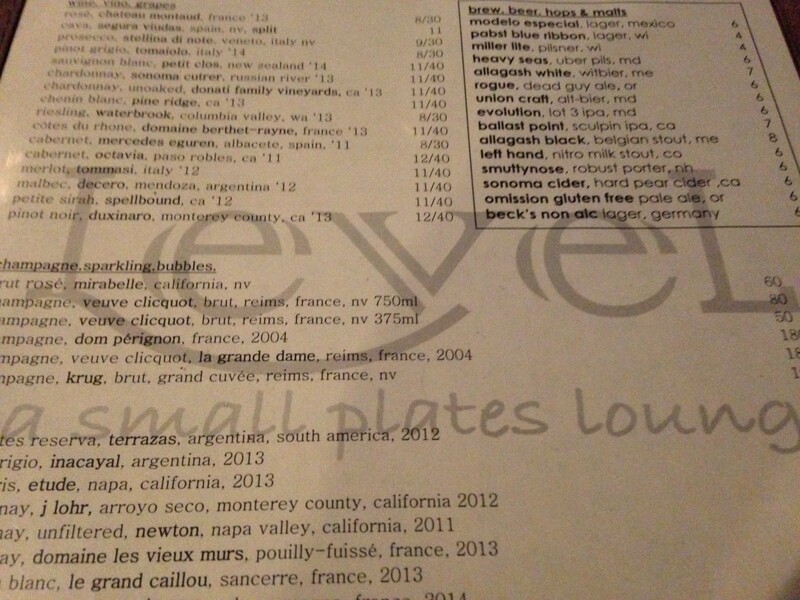 Was in Annapolis recently and visited Level, a small plates lounge for cocktails. Of course there were many to choose from, but the bartender helped me decide on the Angels & Demons — essentially a(n amazing) margarita. 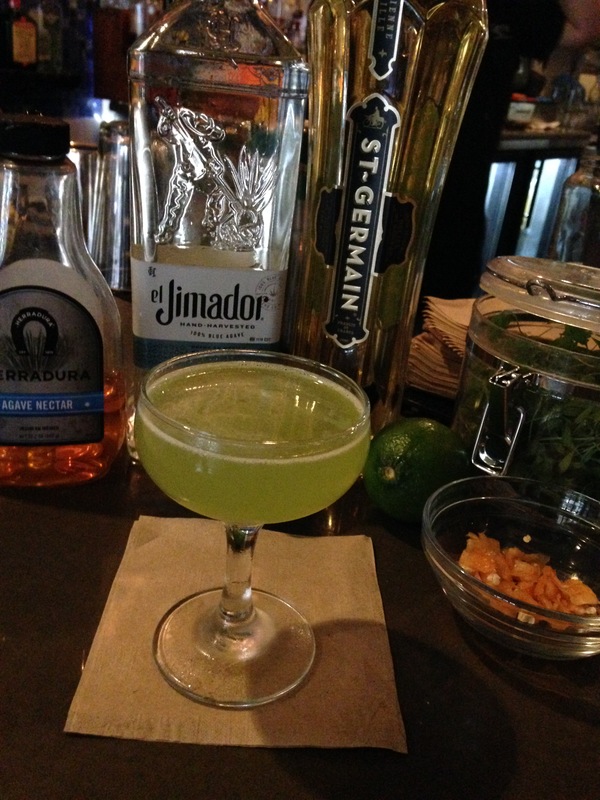 The components — el jimador tequila, st. germain, micro cilantro, habanero pepper, lime, agave. Deadly! Could have easily enjoyed several rounds. Didn’t stay for dinner, but looks like a place worth checking out. I keep trying new things…that’s what the new year is about, right? So, I when I was at a new bar, there was the choice of Mead on the menu. Not something you see often, so I asked the bartender about it. He gave me a quick description. I wasn’t overly sold. Then, he said ‘oh, you have to try it, mostly because I am so trying to get rid of this bottle.’ Should that have been my first clue that I was not going to like this stuff? (yes, could be personal). 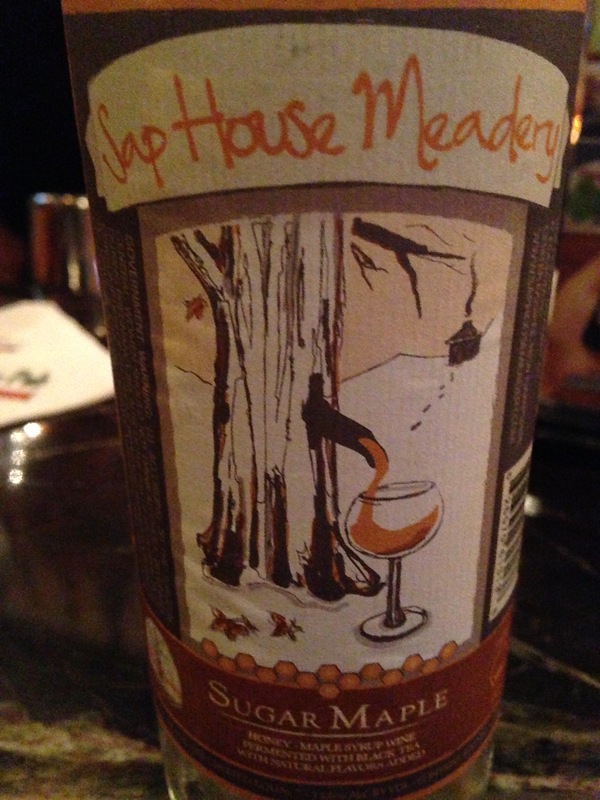 So, he gave me a decent pour of Sap House Meadery’s Sugar Maple. I had the initial sip, then a couple more. An ice wine is what I could most closely compare it to. But I could not put a finger on the taste. After beyond, beyond deep thought (trust me), the only thing I could think of on this is that it tasted like the super dried seal of an envelope (don’t we eat/taste these everyday?). So, I was glad I got to sample this and check it off my list. I moved onto to something else. If you have thoughts on Mead, please let me know. Would love to hear them. Was at the Navy Football game the other day, with of course some great tailgating, and was introduced to a distillery put together by some former Midshipmen. Go Navy! It’s Prohibition Distillery, based out of New York. 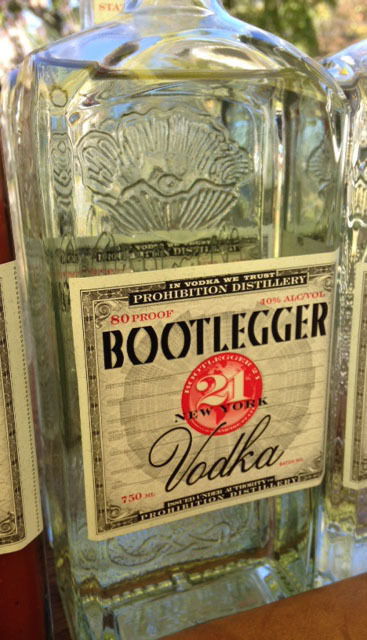 We had the chance to enjoy some of their Vodka and Gin (not mixed together), both named Bootlegger 21. The vodka was used to make some amazing Bloody Marys, which were strategically blended and poured back into a Vodka bottle. For the Gin, I heard that it makes a very nice G&T but I enjoyed a sample of a lime, lemon, mint and some other (non-alcoholic) stuff. Unique and quite good. I would not want more than one of them, though. I would recommend giving this stuff a try. Hopefully you can find it in your area if you’re so inclined to do so. The other night I went out to celebrate a friends 40th birthday at The Lounge at Bourbon Steak in Georgetown, in DC. Quite the place. I had never been there and it’s always nice to check out something new. And, it was amazingly nice for late October so we were able to sit outside, fully aware that they had those huge heaters for when it cooled down. The lounge had quite the menu and instead of going straight for wine, several cocktails caught my eye and I opted for the Morning Dew to begin. Not quite a margarita, but close. It was a perfect blend of anejo (tequila), fresh grapefuit, lemon and ginger on ice. When that was done and more people arrived and wine was in full force, I went to California for some great vino. 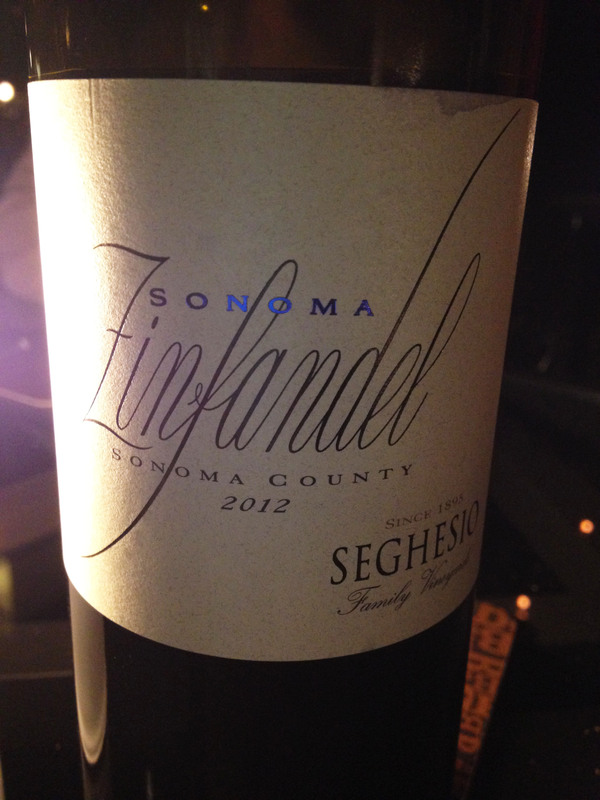 I found a Zin I’d never heard of, Seghesio Sonoma Zinfandel. Fruity, leathery, very nice. Looking it up, it can range from $20-$25. 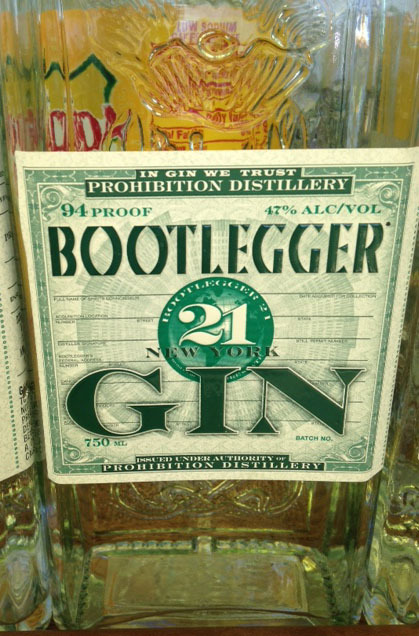 I’m going to grab a couple bottles.